In the early 2000’s girl group 3LW had amassed a huge following and a string of hits beginning with the classic tune “No More (Baby I’ma Do Right)”. 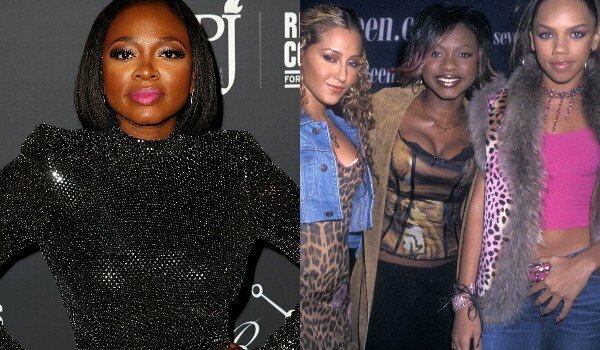 Unfortunately infighting and drama caused original band member Naturi Naughton to leave the group and for years there was speculation that it was because of a huge blowup with fellow members Adrienne Bailon and Kiely Williams. Though they’ve avoided addressing the drama directly Naturi is now ready to speak and tell everyone exactly what went down between them so many years ago. Naturi has since grown into a formidable actress with roles in the Biggie Smalls biopic Notorious as well as portraying high maintenance hood chick Tasha St. Patrick on STARZ’s hit show Power, However, there still must be a few unresolved feelings from her time with the group. Even as recently as a few years ago when Adrienne apologized to her during an appearance on The Real, where Adrienne serves as one of the hosts. Adrienne’s apology aside, Naturi still wants everyone to know exactly what went down so there’s no confusion as to why she left. BET reports that during an episode of TV One’s hit show Uncensored Naturi discussed an alleged infamous incident that lead to her ultimate departure in the parking lot of a KFC. Of course, it didn’t take long for one of Naturi’s former band mates to speak out. Kiely Williams, who has since left the music business entirely, immediately took to social media to tell her side of the story. Robin Givens Is Love Interest In New Music Video, U Won’t BELIEVE Who!